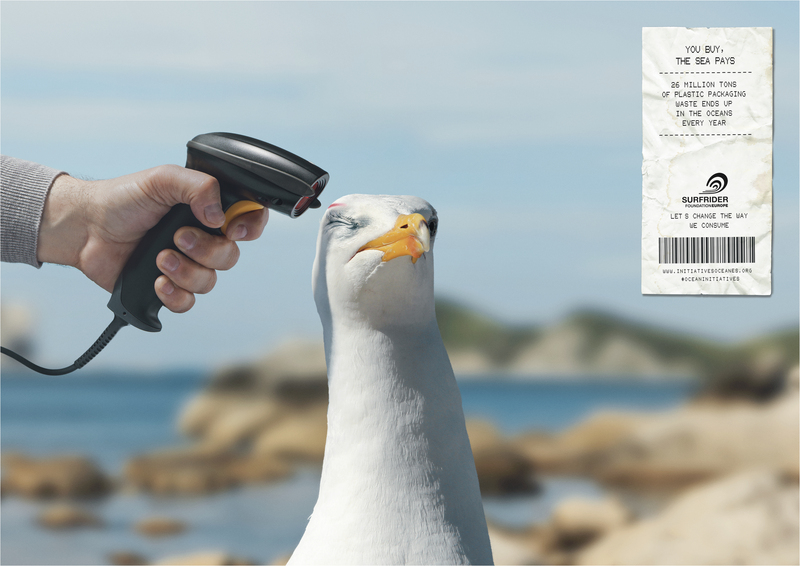 Surfrider Foundation Europe is running a print advertising campaign reminding readers about the impact of plastic packaging on sea life. “Quand on achète, c’est la mer qui paie”, or “You buy, the sea pays”. 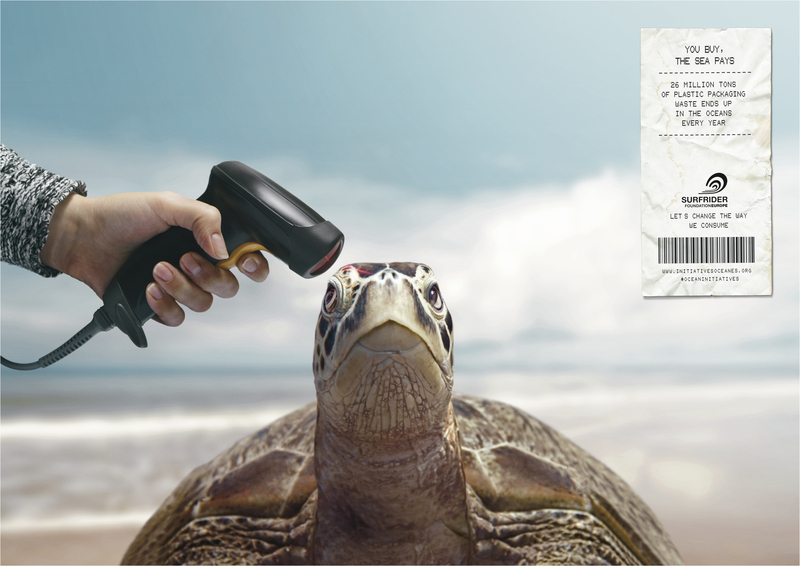 Bar code scanners are held to the head “26 million tons of plastic packaging waste ends up in the oceans every year. Let’s change the way we consume”. The campaign connects readers to the site initiativesoceanes.org and the hashtag #oceaninitiatives. 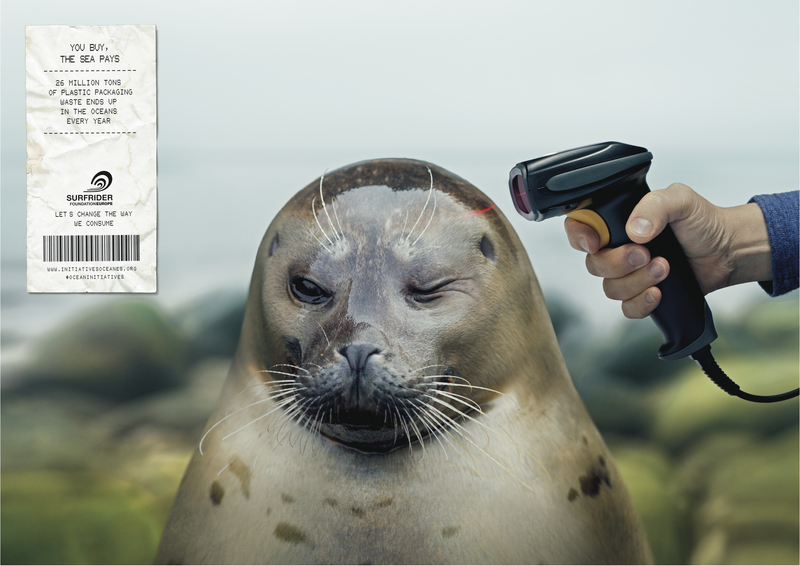 The campaign is linked with the 20th anniversary of the Ocean Initiatives to be held from March 19 to 22, 2015 throughout France. The print campaign has been extended to point of sale work, encouraging shoppers to make wise choices when buying fresh produce and cosmetics. The You Buy The Sea Pays campaign was developed at Y&R Paris by creative director Pierrette Diaz, art director Guillaume Auboyneau, copywriters Ugo Fossa and Eric Lavenac, art buyer Sylvie Reveillard, photographer Pierre Sattin, retoucher Loïc Le Quéré at Sparklink, print producer Nicolas Pollet Villard at Toolbox Productions.